Total Produce is proud to have co-sponsored an ambitious new initiative in the UK to inspire young children to eat more healthy vegetables. 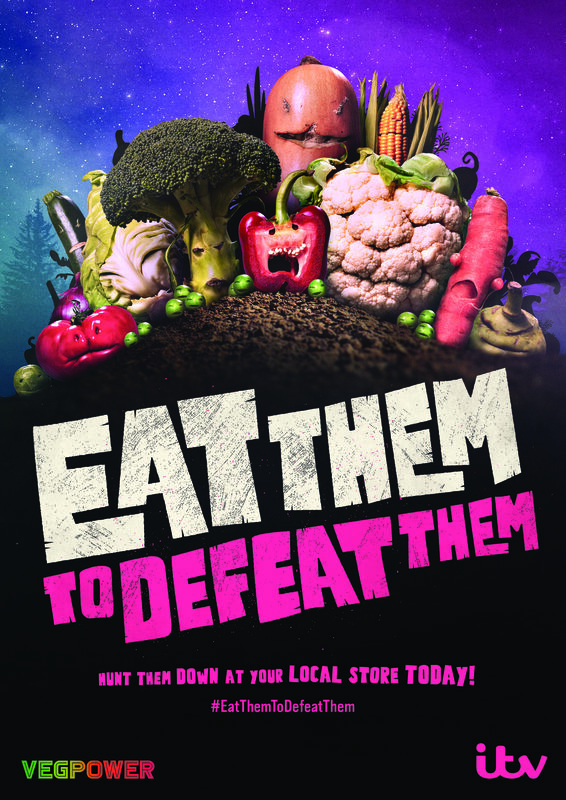 Eat Them To Defeat Them is a radical new advertising campaign that aims to get kids eating more healthily. It premiered on, Friday 25th January, on primetime ITV television network. adam&eveDDB devised the campaign for ITV and Veg Power with a bold new approach to promote veg. It is funded by a ground breaking alliance of all the UK’s major supermarkets and industry, including Total Produce UK. In a 60-second film, directed by Pulse Films’ Ninian Doff, children are cast as the heroes in movie scenario with a horde of vegetables emerging “from underground to take over the world”. 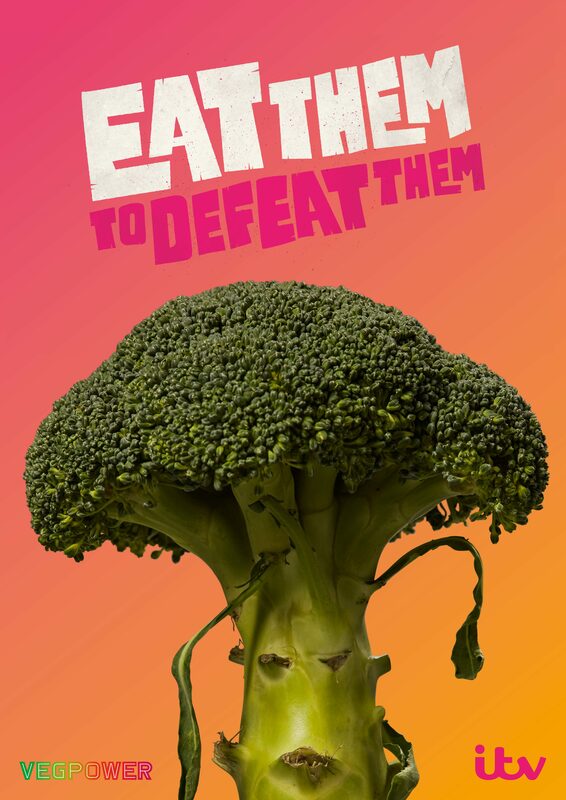 The ad then depicts the kids chomping through a whole selection of veg in order “to eat them to defeat them”. As well as developing the campaign with Veg Power, ITV has backed it with £2 million of airtime across its channels, for an initial 12 week run, including primetime entertainment shows such as The Voice, Dancing on Ice and Britain’s Got Talent. ITV will also be supporting the campaign editorially across programming. The TV ad will be supported by online, social, outdoor, cinema and print activity, with the Beano running the print ad and pull-out material in the comic and a dedicated hub online hosting content including quizzes, games and recipes. To accompany the campaign adam&eveDDB have created an ‘eat chart’, which is designed to reward kids with stickers when they consume vegetables. The charts and posters are being distributed to thousands of schools with the support of some of the biggest catering companies in the country.